Fact: 97% of an online stores’ visitors will leave the website without buying. Most of them never visited the site before nor will ever get back again, which means there’s no second chance for a first impression. What would that level of in-store personalization do for your sales? Online retailers have a massive edge over their brick and mortar counterparts, thanks to online personalization technologies. It’s possible for each visitor to feel as though the web store was designed just for them, that each offer and message they encounter is relevant and timely. Shoppers have come to expect a personalized web store experience. Nearly 74% of online consumers report they feel frustrated when the website’s content they are presented with isn’t related to their interests. Are you meeting your site visitors’ expectations? If you’re not in the personalization game yet, it’s the perfect time to start. 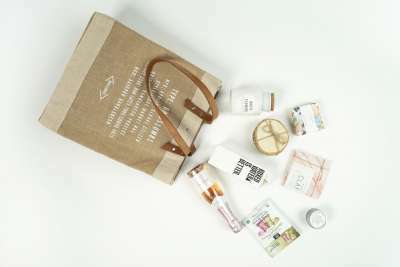 Online retailers of all sizes and stripes are developing personalization strategies to help increase conversions and upsells, boost average order value and foster loyalty, giving customer lifetime value a bump. In a recent Deloitte and ExactTarget study, 50% of CMOs said they will soon implement personalization strategies. Will you? Join us as we explore the different methods by which online retailers bring 1-on-1 personalization to hundreds—and even thousands—of their customers each day. 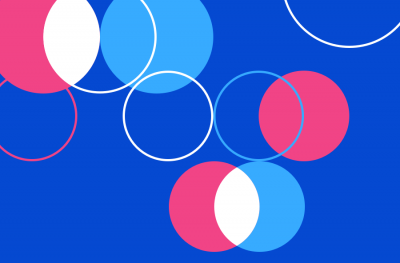 These five important considerations will help you prepare for a personalization strategy built to scale as you grow your business. You probably consider the majority of your website visitors as anonymous—meaning you have no previous data about them. Because they’re anonymous, once they leave your site (and that will happen sooner than you think) you will have no way to communicate with them (because you don’t know their email). 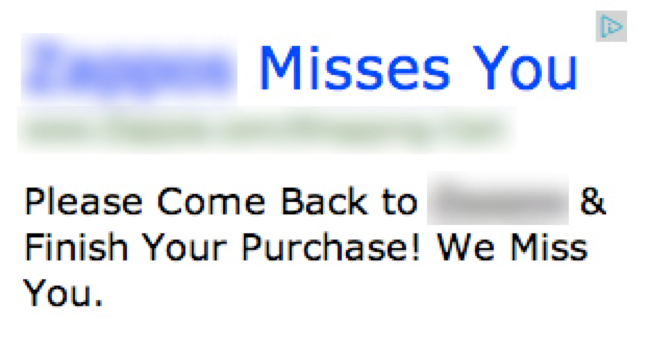 If you want to bring them back to your site, you must invest in retargeting ads. Website Personalization tools like Commerce Sciences allow you to maximize each interaction to increase your ROI—on your site, before visitors click away. Navigational personalization: Even a first-time site visitor can enjoy a personalized shopping experience, with messaging and offers based on the behavior that brought them to your site and their on-site activity. Where the individual came from and how they were referred to your site (ads, search, social, etc., and for which keyword terms) help inform navigational personalization. Third-party data: Data aggregators are the most common source of third-party data, which provides your higher level, huge volume audience insights. Third-party data is great for contextual, behavioral and demographic targeting; it isn’t exclusive to you, but it can tell you a great deal more about various audience segments. Predictive personalization: With enough customer data at your disposal, you can begin to actually predict what your audience may want next. Well, you’re not predicting it, of course—there’s no such thing as an e-commerce crystal ball. Yet by tracking explicit behavior, the likelihood of future behavior becomes apparent. Personal preferences: Returning visitors and customers have a great deal of insight for you. Customer preferences, on-site browsing history, purchase history and more can inform new messages and offers that will appeal to their unique interests. This first-party data—information gleaned from a person’s direct interactions with your business—is incredibly valuable. It’s in the layering of these different types of data that personalization becomes incredibly powerful. Combining the insights from: navigation (what brought you here? ), demographics (who are you? ), and order history, for example, gives you a much more comprehensive view of your customer. It’s far more valuable than simply knowing their age range, gender and what browser they’re using (or other typical analytics information). You don’t have to invent. With all of these insights and triggers to get messaging in front of the right online shopper at the right time, just what is it that you’re going to say? 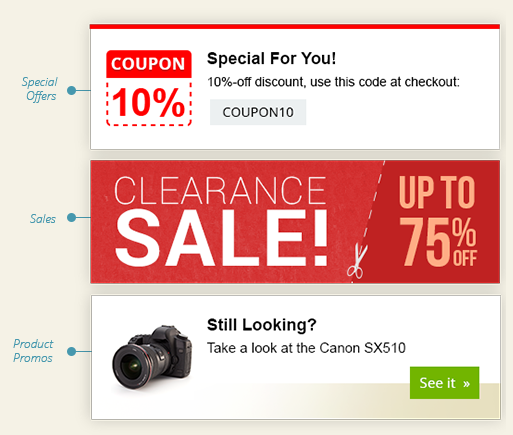 Real-Time Offers: Do you have a coupon strategy in place or do you just spray coupons and pray? Real-time offers are a proven way to increase conversion rates by offering limited discounts to valued customers (or potential customers) only. For example, offer a 5% off coupon on first purchase to visitors coming from your PPC campaigns or for repeat customers to increase loyalty. Micro Conversions: You spend a lot of money on customer acquisition. But when a visitor lands on your site, they are still likely to bounce quickly. That’s where your micro conversion strategy should take place. Instead of trying to get visitors to purchase from you on the spot, get a minimal commitment from that visitor. Target visitors for micro conversions. Contextual Messaging: Those of you who run Google Adwords campaigns have probably experienced the effectiveness of Dynamic Keyword Insertion capabilities, meaning that instead of showing visitors a static ad, you leave a spot which dynamically changes based on their search terms. Obviously Nike Shoes could be replaced with any relevant keywords that are associated with this on-site campaign, and the statement with your company’s most relevant pitch. Another great example of a smart use of contextual messaging is targeting visitors that land on a low-converting product page with an ad or popup showcasing your top product in the same category. That way you can increase the chances of that shopper purchasing from you. Geo-Location Messaging: Do you offer shipping to the U.S? Do you offer world-wide shipping? Why not to let every shopper feel special by announcing your shipping policy to their exact location. For instance, to a shopper from New York, mention that you ship to New York area, while to a shopper from Germany you can mention your great shipping rates to Germany. If you have significant amount of traffic from Germany, you can take one further step and promote your policy to people from Germany in German. 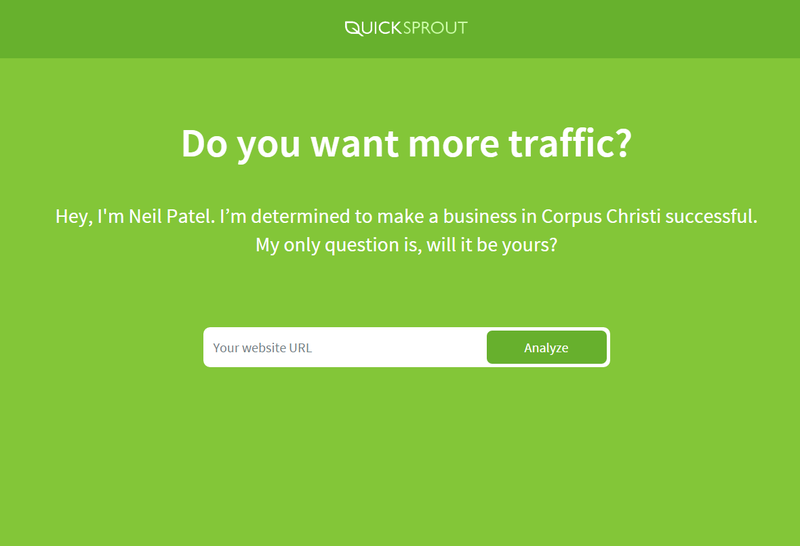 Here’s an example: Click on the “upgrade” tab on Neil Patel’s website, QuickSprout, and here’s what you get. But instead of “Corpus Christi,” you’ll see a geo-location near you. Behavioral Messaging: In “Six Principles of Influence,” Prof. Robert Cialdini mentions scarcity as one of the behavioral triggers that persuade. In our minds things seem more attractive when their availability is limited, or when we are about lose a certain opportunity, for example, to acquire that product on favorable terms. Thus, you can choose to combine those strategies into your marketing strategies, let’s say, to limit the number of coupons you give out and emphasize that only a few are left. If you have only a few items left in stock, be sure to stress that as well. Another principle discussed by Prof. Cialdini is social proof. We tend to assume that if lots of other people are doing something, it must be the right thing to do. You can unleash the power of social proof by promoting what other people are doing on your site. For example, a visitor visits one of your best-selling products? Great! Make sure to let them know how many items of that kind you sold in the past day, or simply mention that this is your #1 selling product in that category. Even if your CMS already provides some basic personalization capabilities, you might want to consider a platform to help you match the right display mode for the best shopping experience. Typically, about 70% of an e-commerce site’s traffic lands on specific product pages or categories. Would dynamically changing the main banner on your homepage do any good? Probably not. Moreover shoppers’ attention span is limited. What’s the resolution? In most cases, dynamic overlays. Slide-outs: A very common way to display dynamic messages on a website is by using squared layers that pop-in from the side of the screen. If done correctly, and if customized to fit the site’s look and feel, it will draw your visitors’ attention and will not be seen as an intrusive act (as most pop-ups are). Modal: A good practice in UX is to have one clear call to action to ensure visitors you’re your desired action. What better way than to have a nice modal in the center of the screen, showcasing your call to action while the background is temporarily blocked? Modals are usually used for email subscription purposes, but could be highly useful when you want to drive traffic from one place to another, for example from your blog to your e-commerce site. 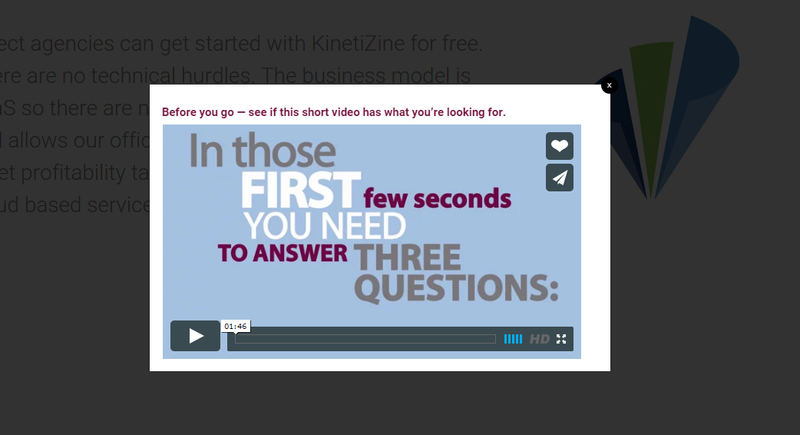 Or, as in this example, to make one final pitch before users exit your page. Floating bar: This is the ideal for branding purposes, and when you want a certain message to resonate in the shoppers’ mind. The floating bar is not intrusive at all, and seems just like a natural part of the top navigation bar. That could be a great place to emphasize your great policies, like, free shipping or 100% money back guarantee. In fact, if you look up, you’ll see a good example of a floating bar. After maximizing your on-site experience and your sales goals, it’s now time to do the same for your remarketing campaigns. Probably you already send emails to subscribers, possibly including promotions as part of your newsletter. Now it’s time to make some quick, effective changes to your strategies. When it comes to sending out emails there are many aspects that could be personalized with some reasonable effort, from segmenting your lists to customizing the content of the email to increase its efficacy. Email List Segmentation: As a first step, you could separate your subscribers into two groups: buyers from non-buyers. To your existing customers, you could emphasize the benefits of being a loyal customer, either by running a loyalty program or by simply mentioning that the promotion in your newsletter is reserved for customers only. To non-buyers, you may want to deliver a different type of messaging. For example, you could include a case study or a bulk of customer reviews to increase confidence that you can be trusted. Personalized Subject Line: A nice way to increase your mailing effectiveness is by personalizing the subject line. You can increase open rate by 29% by simply adding the receiver’s first name. Previous Interests: A deeper segmentation opportunity is to simply categorize your visitors based on the products they’ve purchased (or left behind when abandoning their carts) and simply promote similar products currently on sale or complementary ones to give them a good reason to come back for more. Retargeting allows you to get your ads in front of visitors who have visited your website—even if they didn’t take action. Making it personal can increase results. 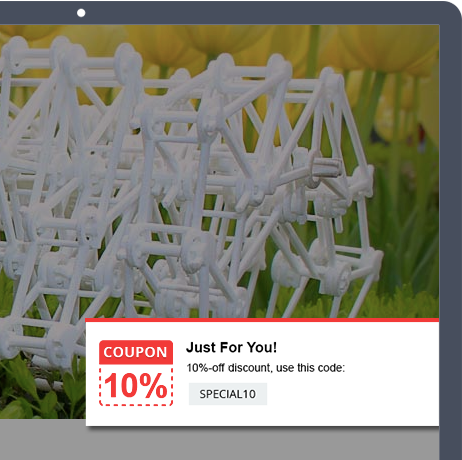 Recent items: Promote on your retargeting ads the last items a visitor viewed before leaving your site. Time-based retargeting: Target visitors that didn’t get back to your site after several days or simply adjust to seasonality, updating your remarketing campaigns to suit the seasons or holidays. Location-based retargeting: Segment your visitors based on their location and emphasize the unique values per their location, or mention their location in the retargeting ad, like Neil Patel does on his website. 6. How to evaluate your success? Oh, you already started? Great! Make sure to measure the effectiveness of what you’re doing, so you’d know whether to improve something (yes) and how exactly to improve it (bingo). Running A/B testing is useful for evaluating and comparing a few slightly different variants. What brings the best results? What causes more clicks and higher conversion rate? Unless you test, you’re just guessing. Some website personalization platforms include built-in capabilities to allow you to A/B test their efficiency without any further coding or additional tools. But as you test, be careful to avoid common A/B testing pitfalls. Prior to starting a test, set your main thesis and calculate the amount of traffic required for your experiment, so you have an exact date for when the experiment should be stopped. You could use an A/B testing calculator for doing this. But be aware, you won’t likely get statistically significant results any sooner than a few weeks. To get started, especially if you aren’t running a $100 million online store, start with measuring top-of-funnel KPIs (e.g., clickthrough rate [CTR], bounce rate, engagement, etc.) to make sure you are on the right track before you invest too much time and effort in the experiment. Personalization platforms have been shown to improve the conversion rates so dramatically, it’s almost a no-brainer to integrate them into your everyday work process. Granted, it might seem like too much effort and work to set them up, but the sooner the better, because ultimately, it can affect your bottom line. Especially, in today’s competitive market, you can’t afford to let your competitors get ahead of you. Stop shooting in the dark. Use personalization to powerfully target your visitors and see the difference in your conversion rate. Omri Yacubovich is the Head of Marketing at Commerce Sciences - Website Personalization platform for E-Commerce and SaaS companies. He is an experienced entrepreneur with a rich blend of marketing, business development, innovation and leadership experience.